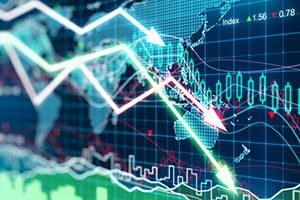 Will There Be a Stock Market Crash in January 2019? Subject: Will There Be a Stock Market Crash in January 2019? December was the worst month for stocks in three decades. With the government still shut down, the trade war still hot, and the Fed expected to hike rates again, a stock market crash in January 2019 is a serious concern. While no one can accurately predict the future, the reality is this bull market run is the longest in stock market history. While stocks have already fallen into correction territory, a sustained bear market is eventually going to happen. Whether the bear market starts with a market crash in 2019 is impossible to know. But what we do know is the warning signs are there. The entire planet is facing a debt crisis that could trigger the next stock market crash. In the past 15 years alone, global debt has increased twofold, spiking by $15 trillion over the last two years. The Institute of International Finance cautioned last July that this was the largest increase in a two-year period. In the first quarter of 2018 alone, $8 trillion was added to global debt to reach a staggering $247 trillion. This represents over three times the worldwide gross domestic product, or 318% specifically. This is the equivalent of a household that borrows triple the amount of its incoming pay. It's simply not sustainable. On the home front, the United States reached $21.79 trillion in November, and interest on that debt is projected to grow by at least $310 billion each year. This has transformed into a crisis, since someone is going to have to foot the bill for these mind-boggling payments. That someone will most certainly be the tax-paying public. This is unwelcome news at best, but it gets worse. For the fiscal year 2018, the U.S. federal government closed out the year with a $779 billion deficit. This is due in large part to the Trump tax cuts, which slashed government revenue without cutting expenditures. This is the largest federal deficit in six years, and the expectation is that it will continue to explode. The news out of China isn't much better. Now the world's second largest economy, it has experienced rapid growth – but at a significant cost. The country has printed more currency than the United States since the last financial crisis, and its yuan has become weak relative to the U.S. dollar. This is a problem because much of China's debt is based on the U.S. dollar. In fact, CNBC recently estimated that the Chinese government debt alone could be around $6 trillion. This will be tough to repay. The global financial outlook is not pretty either, according to the International Monetary Fund's (IMF) latest World Economic Outlook report. In the wake of the 2008 financial crisis, many countries drastically cut interest rates and began printing money to stimulate their economies. These actions mean that there are limited resources on hand to address the next economic crisis. We can find evidence of investor fear rising in the bond markets. The 10-year Treasury benchmark rate hit 3.06% in September, jumping from 2.06% in little more than a year, a 14-month increase of 50% in this key figure. As interest rates continue to go up, the value of bonds and notes will fall. According to the Bloomberg Barclays Multiverse Index, $1 trillion in bond values were wiped out over just a three-week period from September to October of 2018. While we aren't predicting a stock market crash in 2019, there are enough signs of trouble that investors need to have a plan of what they'll do. Not only can you avoid some tragic losses with the right plays during a stock market crash, but you can also earn some serious profits in a bear market.